Perfect professional skills and the ability to multi task, these are some of the reasons why companies are keen to hire a virtual personal assistant than someone else for their tasks. Having a single resource able to manage and effectively complete multiple tasks save the company time and money. What do you think a virtual assistant is capable to do? Here are some of the tasks he can effectively complete with perfection and professionalism. We all know that content is King! There’s no denying to the fact if you want your money minting website to rank high in the SERPS. You’ll be needing fresh, unique and SEO friendly content on a daily basis to have it spread around the internet building quality back links for your website. Your virtual assistant would keenly provide the exact articles and blogs for your website so that your business website starts growing and climb to the highest rankings possible. You are not a mature business unless you act like one. A lot of things happen in your company which is worth sharing with your customers and in some way, to make your competitors envy your growth and expansion. 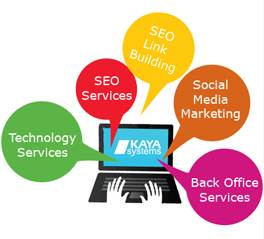 Your virtual assistant would definitely handle the task of spreading the news in an appropriate manner which would help in publicizing your company in the corporate world and also act as a catalyst to boost your rankings on the internet. How old is your website now? How long has it been when the website was built and made live on the internet? Surely you can’t boast about professionalism and style with a website built in the design which looks like your grandfather gave you in inheritance. You’ll need a fresh and attractive design which would be appealing to the users as they come to your website. We all know if you customers like the website, they certainly like your business too. So you can use the technology services of your VA to upgrade your website or build a completely new one. The secret success for a small business to become one of the top leading enterprises in the state is keeping operational costs as close to zero as possible in the start. Unless the business starts earning enough to make you confident about expanding your physical employees, the business owner should use the full services of a virtual personal assistant. But this does not mean you should let go of your VA once you have grown through his help and abilities. Some huge names in the business world still use their VA’s even though they are a multi-billion enterprise. But it all depends on your confidence and the will to continue your business with him. This entry was posted on Monday, March 17th, 2014 at 10:43 am	and is filed under Technology Outsourcing, Virtual Assistant Services. You can follow any responses to this entry through the RSS 2.0 feed. You can leave a response, or trackback from your own site.